Book Two of the Ysabel the Summoner series is in the capable hands of my editor. On to book three. In this third book, my girl Ysabel is under the sea with the mermaids, recovering from a terribly injury. Bioluminiscent fish and jellies light up her underwater world. Strange creatures abound. Scallops! With blue eyes! 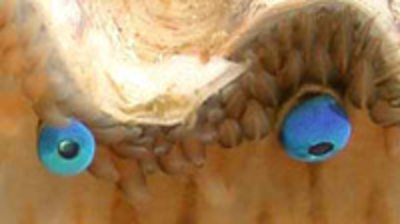 The eyes are functional; they track movement and light. 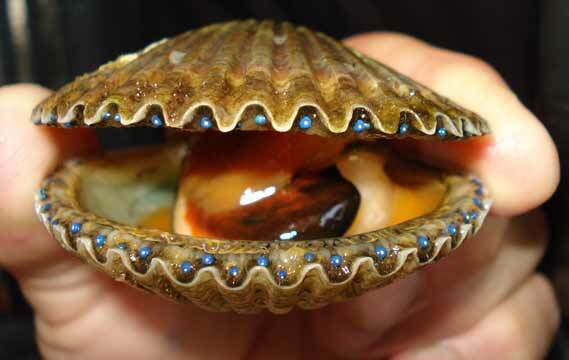 If the scallop loses an eye, another grows in its place. Up close, they look like blueberries. 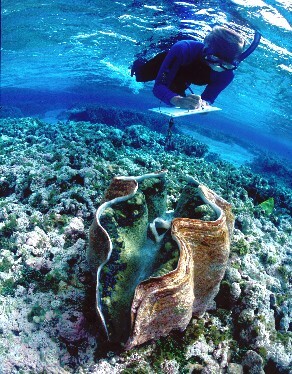 Giant clams, yikes! They grow up to 4 feet across and have an average lifespan of 100 years in the wild. 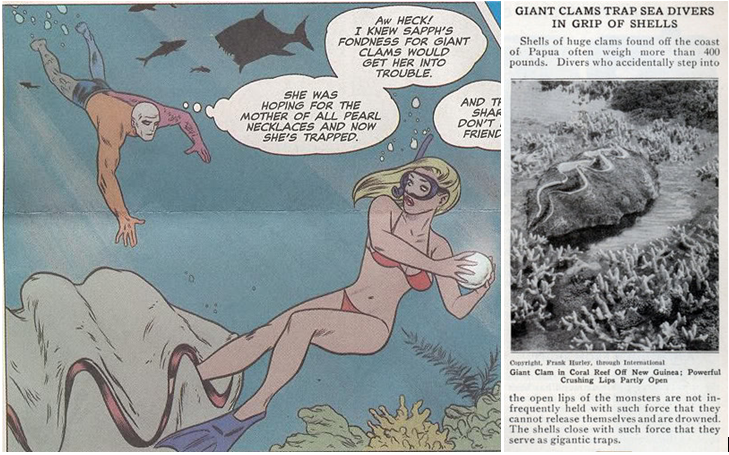 Before I started researching, I only knew them from comics and the covers of cheesy paperbacks, showing a clam closed tight around the leg of an unfortunate diver. It’s a myth, though. 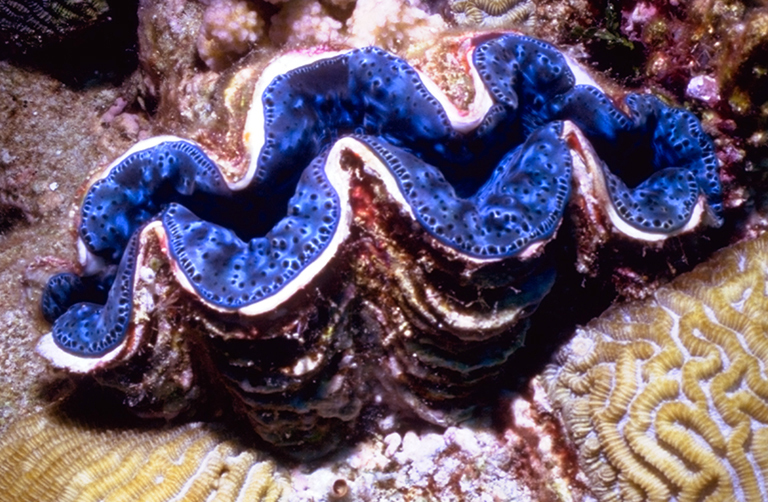 Giant clams are not fast moving; a diver would have to hang around for a long time with his leg jammed between the clam shells waiting for the two halves to sloooowly close. This entry was posted in Writing and tagged Creatures of the deep, Underwater by Signe Kopps. Bookmark the permalink.